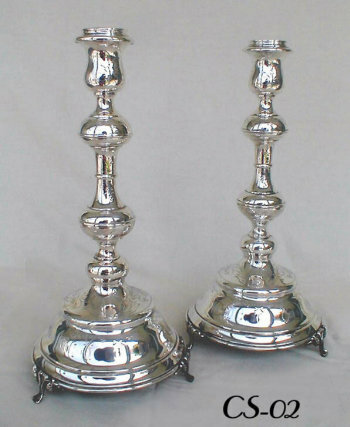 Magnificent grande Austro-Hungarian Silver Sabbath Candlesticks, c. 1886-190. Tall and majestic, sitting atop three Art Nouveaux feet supporting a bell shaped base decorated with bright cut and zipper cut folkloric engraving. 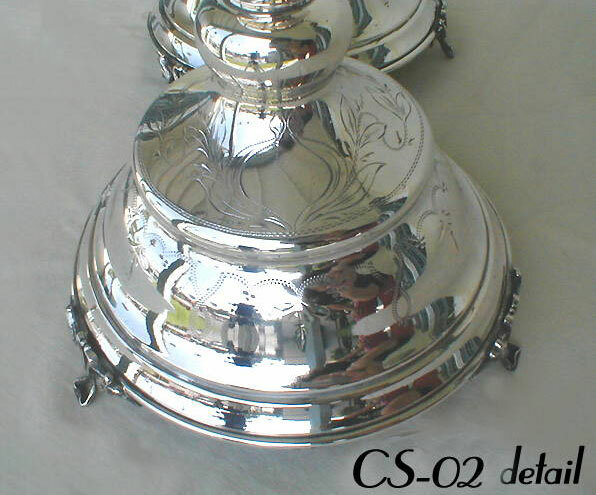 Engraved knops above and below with urn shaped candleholders.